When it comes to carpets, we know better than anyone that there is a lot of choices out there. Which brand should you choose? Will it last the test of time? Can you be sure that the children won’t ruin it? These are all critical factors when selecting the right carpet for your home. After all, a carpet can complete your home! 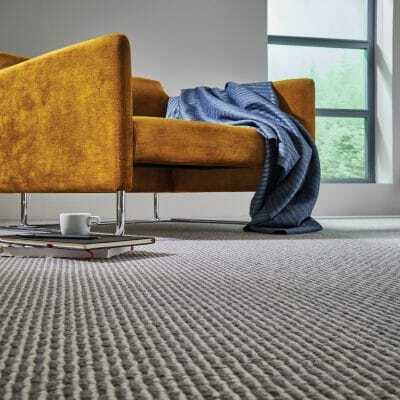 As carpet specialists for many decades, we feel there is one brand that offers everything you need in wool, Westex Carpets. They have been manufacturing innovative wool carpets for over 35 years. This locally based Carpet company are renowned across the world for luxury, durability and their great colour-bank. Here’s why we think Westex is the right choice for you. When it comes to our carpets, the number one fear for most of us is stains. That is why Westex Carpets have invested so much research into developing the ultimate in stain-resistant technology. They call it their Stain Resist treatment and they apply it to all of their carpets. This treatment protects your carpet from almost all water & oil-based stains by blocking the spill from penetrating the fibre. Hence, the spillage stays on the surface, so you have time to find your trusted cleaning aid and “hey-presto”, your carpet looks like new! We all like to know we are supporting local businesses, so with Westex, you can rest easy. With a Head Office based nearby in Cleckheaton, they make all of their carpets in the UK. From design to delivery, they are utterly British made. So, you can be entirely confident in the quality of their craft. If you are looking for the best wool carpets, then Westex is a serious contender. Not only will you find their range to be either 100% or 80% wool in their ingenious blends, but they use the World’s most premium wools. Why do they do this? Well, the longer fibres in the best yarns prevent shedding, pilling and matting and they are perfect for holding vibrant colours. So, it guarantees that your Westex carpet will look, and feel, newer for longer. We all want our carpet to be thick and bouncy. That is why Westex uses 2 and 3 fold yarns. These yarns are like a spring and will bounce back with even the toughest everyday use. So you can be sure that your Westex carpet will give you lasting comfort for many years, no matter how busy your home is. If you have ever experienced the damage insects can do to your carpet, then you will want to consider Westex. They offer Mothproofing Protection as standard to safeguard their carpets from moth attacks and other wool-eating insects. Furthermore, it is an Award winning system and 100% safe. So it poses no harm to us or our environment, just those wool-eating pests! Another primary consideration in homes today is allergy and pet-odour protection. Did you know that 45% of us have a pet, so keeping your home fresh is vital. How can a Westex carpet help with this? Well, they use an anti-dust mite and Fresh Guard treatment to ensure freshness. It neutralises the stink of even the smelliest dog and stops any build-up of bacteria. So your carpet is protected from rot and bad whiffs. More importantly, you are your family are safe from allergens and bad smells. Anyone with a small hallway or narrow bedroom will know how difficult it is to buy a carpet that will fit your unique space. The great news is that Westex carpets are available in 5 widths; 1m, 3.66m (12ft), 4m, 4.57m (15ft) and 5m. Plus, all widths are an exact colour match. So, you can have a carpet to complete your home without the excess cost of roll-wastage. Some of us are daring and bold when it comes to our carpet; others are more demure. That is why Westex offers a colour for everyone. Indeed, their Ultima range offers a massive 120 colour options. If you want choice when it comes to colour, then choose Westex. (9) Why Not Get A Bespoke Colour-Match? Even with a vast selection of standard colours, sometimes we still can not find the right match for our homes. Well, good news! Westex also offers a Special Dye colour match service. They have dedicated dye house and colour technicians that can match any colour. All you have to do is provide a sample; their colour-mastery will do the rest. If you need something a little more bespoke with your carpet shade, ask us. Did we mention that Westex Carpets are based locally, in Yorkshire? Which means we can ensure rapid delivery on all of their products locally, and nationally. And don’t forget, we at Floormaster offer an extra-caring installation service so you can be confident your new carpet will arrive on time and we fit it to perfection! If you are considering a new carpet, then get in touch. Our showroom is open 6 days a week, or we offer free home visits any day and at any time.